The federal cabinet just approved the Kinder Morgan Transmountain pipeline. But, here’s the thing. If we work together this pipeline will not be built. We are part of a movement of First Nations communities and people across BC and across Canada who stopped the Enbridge Northern Gateway pipeline. We can stop the Texas-based Kinder Morgan pipeline and tanker project. 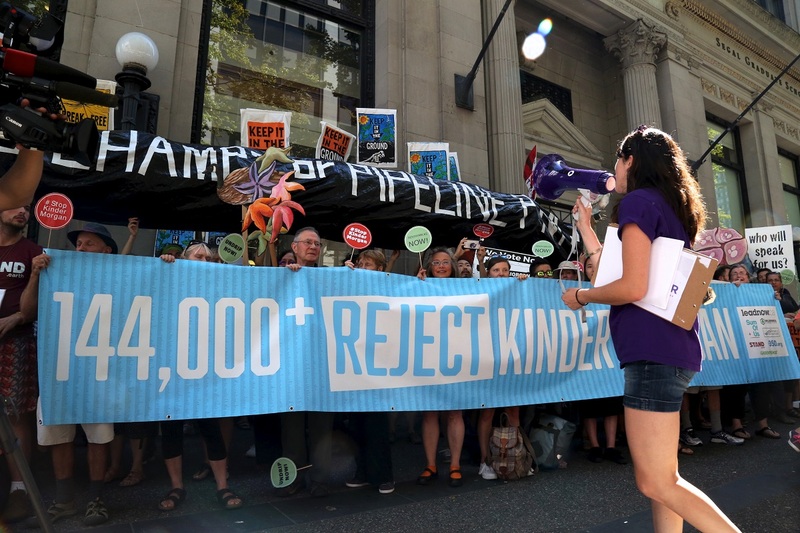 One key next step is to make sure the province of British Columbia uses its power to stop this pipeline by withholding key permits to Kinder Morgan. Already, 22 mayors and 56 First Nations in BC have opposed this project. Now we need Premier Clark and opposition leader John Horgan to commit to using the province’s power to stop this pipeline from ever being built. Can you join us and send a message now? Send a message to Premier Christy Clark and opposition leader John Horgan to ask them to say they will stop Kinder Morgan from getting the permits they need for construction - and make opposition to this dangerous pipeline a major plank of their election platform. Send a message to Premier Clark and opposition NDP leader Horgan to call on them to deny Kinder Morgan needed permits! Leadnow has spent tens of thousands in stopping this pipeline, and we expect the fight to go on for months, if not years. We need your help to keep this going. Leadnow is sustained by thousands of small donations from people like yourself, and we need your support now more than ever. Click here to donate to help us keep this fight going for the long-haul.